This "Pupil's Book" contains a wide range of introductory stimulus from children's literature. Specific grammar and language work are explored in each unit. Speaking/talking and listening activities are integrated with reading and writing activities throughout. This language series is structured to develop skills in reading, writing, speaking and listening and the study of language. It has a thematic approach which provides opportunities for cross-curricular activities as well as providing a meaningful context for language development. The books at each of 7 levels provide development of reading skills. 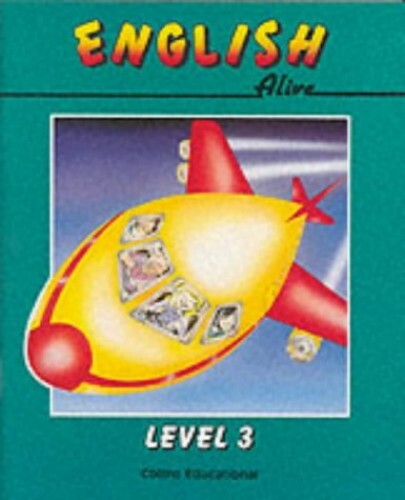 Computer software is provided for the "Adventures in English" series. This book provides a wide range of stimulating material for infant and junior children. The "Starter" and "Approach" levels introduce material for the 5 to 7 year olds. Levels 1-5 then develop the course for the 7 to 12 age group. Each level comprises pupils books - workbook at "Approach" level and core books at all other levels. The teacher's resource file contains detailed coverage of work at each level with ideas to introduce and develop a wide range of activities. An audio cassette is included at each level and provides structured material for the development of listening skills. The content of each tape is firmly linked to the themes developed in the pupils books.